In his first Presidential letter to members in the 1993 World Record Game Fishes, Mike Leech sent a clear signal that many new programs would be forthcoming, and he was as good as his word. Line over-testing had long been a contentious source of world record disqualifications, and Leech introduced a line-testing service so that members could assure themselves of line class compliance in advance of their potential world record pursuits. This was followed by a scale certification program, new membership discounts, introduction of upgraded IGFA-brand apparel and merchandise lines, and the origination of a series of new conservation awards honored at the IGFA Auction & Banquet. Additionally, Leech introduced IGFA Slams and Trophy Fish Clubs to provide angler recognition for exceptional angling. Two years later in 1995, the Inshore and Offshore Grand Slam Clubs were also added. 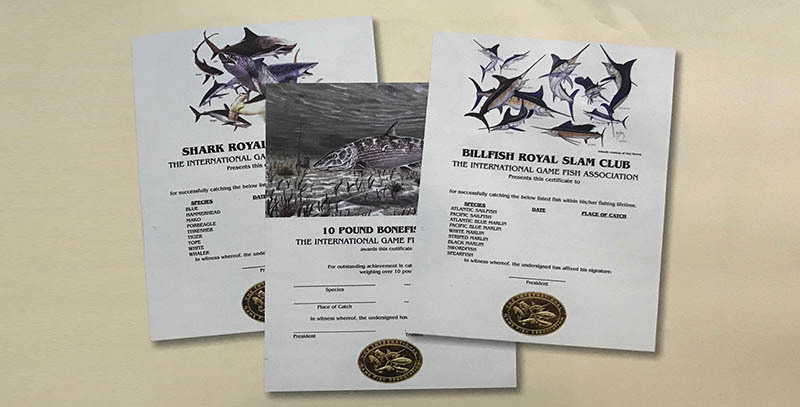 On top of these many new IGFA activities and programs, Leech also oversaw a dramatic increase in the number of world record listings. At the beginning of 1993, All-Tackle records were kept for 452 different species of fresh and saltwater fish. By 2003, that number had climbed to 832. In addition, the decade of the 1990s witnessed a tremendous boom in light-tackle fishing as increasing numbers of anglers took to more sporting tackle. In response, Leech oversaw the reintroduction of a 6-lb line class record category previously discontinued in 1982. That opened up hundreds of new record categories, and the vast majority of new marks established during the decade were done so on lighter lines.